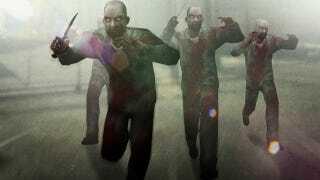 Counter-Strike: GO's First Mod Wants Braaaiiins! When shooter Counter-Strike: Global Offensive launches next week, it will have a Zombie Mod from the folks over at plaguefest.com. "It was important to us as we developed CS:GO to make sure it was as moddable and extensible as any CS game," wrote Valve on its Counter-Strike blog. "So this is just one of many mods that will be available to CS:GO in the coming months." As website VideoGamer points out, the mod can be downloaded via Steam.